From Old High German stellen, from Proto-Germanic *stallijaną. More at stell. From *stallaz (“fixed, set”, adj), from Proto-Indo-European *stel- (“to place, put, post, stand, be rigid”). *stallijō *stallijaų — *stallijai *? Wcześniejsza postać Old Latin: stlocus, została później jakoś zniekształcona przez ubezdźwięcznienie, czyli utratę z nagłosu dźwięku wysokoenergetycznego zapisywanego znakiem S do postaci Latin: locus!!! Do tego odtfoszonego Pra-Słowiańskiego *stьlati, powrócę na sam koniec tego wpisu. From Old Latin stlocus, from Proto-Indo-European *stel- (“to put, place, locate”). The inflection is irregular. For senses one and two, the declension follows the regular masculine pattern. For sense three, the plural forms become neuter in gender and form. Powtarzam: Wczesna postać tego słowa w tzw. starej łacinie posiadała utracony potem jakoś z nagłosu dźwięk zapisywany znakiem S, patrz: stlocus. Czyżby i samo słowo Latin / LaTiN, też straciło z nagłosu dźwięk zapisywany znakiem S… i wcześniej brzmiało coś jak Slatin / S+LaT+iN? Old English latin „in Latin,” from Latin Latinus „Latin, Roman, in Latin,” literally „belonging to Latium,” the region of Italy around Rome, a name of uncertain origin. Possibly from PIE root *stela-„to spread, extend,” with a sense of „flat country” (as opposed to the mountainous district of the Sabines), or from a prehistoric non-IE language. Old folk etymology connected it with Latin latere „to lie hidden,” and a fable of Saturn. The Latin word also is the source of Spanish and Italian ladino, Dutch latijn, German latein, Irish Gaelic laidionn (n.), Polish lacina, Russian latuinŭ. The more common form in Old English was læden(see Latin (n.)). „the language of the (ancient) Romans,” Old English latin „Latin, the language of the Romans; any foreign language,” from Latin latinium „the Latin language,” noun use of the adjective latinius (see Latin (adj.)). The more common form in Old English was læden, from Vulgar Latin *ladinum, which probably was deformed by influence of Old English leoden „language.” For „the Latin language” Old English also had lædenspræc. In Old French the word was used very broadly, „speech, language:” „What Latin was to the learned, that their tongue was to laymen; hence latino was used for any dialect, even Arabic and the language of birds ….” [Donkin, „Etymological Dictionary of the Romance Languages,” 1864]. Roughly speaking, Old Latin is the Latin before the classical period including early authors and inscriptions. Classical Latin flourished from about 75 B.C.E. to about 200 C.E., the Latin of Lucretius, Catullus, Caesar, Cicero, Virgil, Horace, Ovid, Livy, Seneca, etc. ; it is the standard Latin of the grammars and dictionaries. Late Latin followed the classical period to about 600 and includes the early church fathers. Medieval Latin was the Latin of the Middle Ages, from about 600 to 1500. Modern Latin is Latin as written from about 1500 on, largely by scientific writers in description and classification. Vulgar Latin was the speech of the Roman home and marketplace, going on concurrently under Classical and Late Latin. From Middle French latin, from Old French latin, borrowed from Latin latīnus. “latin” in le Trésor de la langue française informatisé (The Digitized Treasury of the French Language). Probably a loanword from an ancient non-Indo-European language, but it has also been linked to latus (“wide”), a reference to the flat land, or „side”, being on the southwest side of the Italian peninsula. Earlier *tlātus, from Proto-Italic *tlātos, from Proto-Indo-European *tl̥h₂tós, from the root *telh₂-. Compare Ancient Greek τλάντος (tlántos, “bearing, suffering”), τολμέω (tolméō, “to carry, bear”), τελαμών (telamṓn, “broad strap for bearing something”), Ἄτλας (Átlas, “the ‚Bearer’ of Heaven”), Lithuanian tiltas (“bridge”), Sanskrit तुला (tulā, “balance”), तुलयति (tulayati, “lifts up, weighs”), Latin tollō (“to bear, support”), tulī (“I bore”), tolerō (“bear, endure”), tellūs (“bearing earth”), Old English þolian (“to endure”) (English thole), Old Armenian թողում (tʿołum, “I allow”). From earlier *stlātus, from Proto-Indo-European *sterh₃- (“to stretch out, extend, spread”) or *stelh₃- (“broad”). Also compare stlatta. Of uncertain origin. Some indicate Proto-Indo-European *pleth₂- (“flat”) or *stelh₃- (“broad”) (in which case later would be its masculine form). *tl̥h₂tós – Najpierw ofitzjalne tłumaczenie znaczenia wg ofitzjalnej etymologii nr 1, a następnie nigdzie nie ujęty, ale ISTNIEJĄCY DO DZIŚ Pra-Słowiański pierwotny źródłosłów. From Proto-Indo-European *telh₂- (“to bear, carry”). Compare Ancient Greek τλάντος (tlántos, “bearing, suffering”), τολμέω (tolméō, “to carry, bear”), τελαμών (telamṓn, “broad strap for bearing something”), Ἄτλας (Átlas, “the ‚Bearer’ of Heaven”), Lithuanian tiltas (“bridge”), Sanskrit तुला (tulā, “balance”), तुलयति (tulayati, “lifts up, weighs”), Latin tollō (“to bear, support”), tulī (“I bore”), lātus (“borne”), tellūs (“bearing earth”), Old English þolian (“to endure”) (English thole), Old Armenian թողում (tʿołum, “I allow”). From Latin tolerātus (past participle), from tolerō (“I endure”). Cognate with Old English þolian (“to tolerate, suffer, bear”). More at thole. To allow (something that one dislikes or disagrees with) to exist or occur without interference. I like the way he plays the guitar, but I can’t tolerate his voice when he sings. I can tolerate working on Saturdays, but not on Sundays. From Middle English thōle, from tholen, tholien (“to be made to undergo a penalty; to suffer; to experience (something unpleasant); to bear, endure, put up with; to allow, permit”), from Old English þolian (“to endure, suffer, undergo; to thole”), from Proto-Germanic *þuljaną (“to suffer”), from Proto-Indo-European *telh₂- (“to bear, suffer; to support”). The word is cognate with Danish tåle (“to tolerate”), Middle Low German dōlen (“to endure”), Middle High German doln (“to allow, bear, suffer”), Latin tollō (“to cancel, lift off, remove”), tolerō (“to bear, endure”), Norwegian Bokmål tåle (“to tolerate”), Norwegian Nynorsk tola (“to tolerate”), Swedish tåla (“to tolerate”). It is also related to English thild. (transitive, now Northern England,Northern Ireland,Scotland) To endure, to put up with, to tolerate. (obsolete, rare or regional) The ability to bear or endure something; endurance, patience. He’s got no thole for nonsense. czas. przytulić dk., przytulać ndk. 1 or: będę tulić, będziesz tulić etc. possibly Old High German stilli(“quiet”). Ciekawe, że ofitzjalne wywiedzenie źródłosłowu tego Stilli / S+TiLLi prowadzi znów do Pra-Słowiańskiego słowa, które podam pod koniec tego wpisu. IPA: [ˈtlʲiʨ̑‿ɕɛ], AS: [tlʹić‿śe], zjawiska fonetyczne: zmięk.• denazal.• zestr. akc. (1.1) Odtądpocałychdniachtlił sięogień, achociażdymnierazporządniegryzłmniewoczy, wolałemznosićtęniedogodność, aniżelinarażać sięnaostreukłuciaskrzydlatychpijawek. (1.2) Płomykjejżyciatlił siętaksłabo, żezdawało się, iżdośćjestdmuchnąć, abygozgasić. *sterh₃- Najpierw ofitzjalne tłumaczenie znaczenia wg ofitzjalnej etymologii nr 2, a następnie nigdzie nie ujęty, ale ISTNIEJĄCY DO DZIŚ Pra-Słowiański pierwotny źródłosłów. From Middle English strecchen, from Old English streċċan (“to stretch, hold out, extend, spread out, prostrate”), from Proto-Germanic *strakjaną, *strakkijaną (“to stretch, make taut or tight”), from Proto-Indo-European *(s)treg-, *streg-, *treg- (“stiff, rigid”). Cognate with West Frisian strekke, Dutch strekken (“to stretch, straighten”), German strecken (“to stretch, straighten, elongate”), Danish strække (“to stretch”), Swedish sträcka (“to stretch”), Dutch strak (“taut, tight”), Albanian shtriqem (“to stretch”). More at stark. 1 or: będę starczyć, będziesz starczyć etc. Note: the imperative form is almost never used. First and second person forms are rare. 1 or: będę sterczeć, będziesz sterczeć etc. Cognate with Old Church Slavonic прострѣти (prostrěti) (first singular простьрѫ (prostĭrǫ)), Serbo-Croatian про̀стриjети (first singular про̏стриjе̄м), Slovene prostrẹ́ti (first singular prostrèm), Czech prostříti, etc. From Proto-Slavic *prosterti (first singular *prostьrǫ), composed of *pro- +‎ *sterti, cognate with Sanskrit स्तृणाति (stṛṇā́ti, “to sprinkle, throw”), स्तृणोति (stṛṇṓti), स्तरति (stárati), Avestan (staraiti, “to stretch out”), Latvian stirinât (“to move, shake”), Ancient Greek στόρνῡμι (stórnūmi, “to spread”), στορέννῡμι (storénnūmi), στρώννῡμι (strṓnnūmi), Latin sternō (“to spread out”). Past passive participle *prostьrtъ is an exact cognate of Avestan ‎(frastərəta), and base form *stьrtъ is an exact cognate of Sanskrit स्तृत (stṛtá), Ancient Greek στρωτός (strōtós), Latin strātus. UWAGA! Zarówno Rozpostrzeć / RoZ+Po+STR”eC’, jak i Rozpościerać / Roz+Po+S’CieR+aC’ mają swoje różne źródłosłowy, których nie będę jednak tu omawiał. From Proto-Indo-European *pro-sterh₃-, from Proto-Indo-European *sterh₃-. Cognate with Sanskrit स्तृणाति (stṛṇā́ti, “to sprinkle, throw”), स्तृणोति (stṛṇṓti), स्तरति (stárati), Avestan (staraiti, “to stretch out”), Latvian stirinât (“to move, shake”), Ancient Greek στόρνῡμι (stórnūmi, “to spread”), στορέννῡμι (storénnūmi), στρώννῡμι (strṓnnūmi), Latin sternō (“to spread out”). Past passive participle *prostьrtъ is an exact cognate of Avestan (frastərəta), and base form *stьrtъ is an exact cognate of Sanskrit स्तृत (stṛtá), Ancient Greek στρωτός (strōtós), Latin strātus. From Latin pro (“in favour of, on behalf of”). From Ancient Greek πρό (pró, “before”). 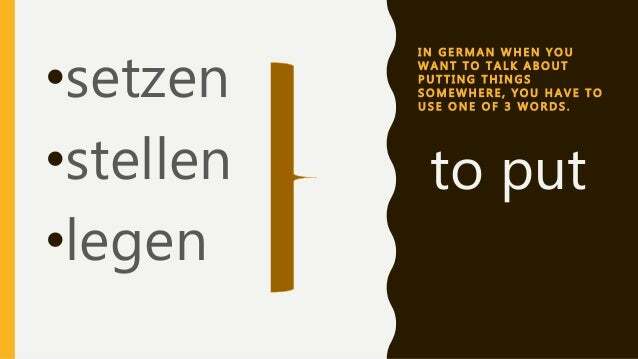 Combining form of prō (preposition). From Proto-Indo-European *pro, *pro- (see *per-). Cognates include Latin pro, Sanskrit प्र (prá), Proto-Celtic *ɸro and Proto-Germanic *fram (English from). May be related to πρός (prós, “towards”). Words may be put between πρό and its case, but πρό does not come after its case. From Proto-Italic *staēō, from Proto-Indo-European *sth₂éh₁yeti, stative verb from *steh₂-. Cognates include Sanskrit तिष्ठति (tiṣṭhati) (root स्था (sthā)), Persian ایستا‎ (istā, “standing; stopping”), Ancient Greek ἵστημι (hístēmi) and στάσις(stásis), Old English standan (English stand), Bulgarian стоя (stoja). By its appearance through Latin sound laws, this stative verb, against all others of this class in the 2nd conjugation, belongs to the 1st conjugation. The perfect and supine stems are shared with sistō, the corresponding athematic verb from the same Indo-European root. Passive forms exist only in the third-person singular. UWAGA! Oto typowy przykład utraty dźwięczności, czyli ubezdźwięcznienia, czyli tzw. rough breathing, patrz: Ancient Greek ἵστημι (hístēmi) and στάσις(stásis)!!! From Proto-Indo-European *stísteh₂-, the reduplicated present of *steh₂-. Cognates include Old English standan (English stand), Sanskrit तिष्ठति (tiṣṭhati) (root √sthā), Latin stō, sistō, Old Armenian ստանամ (stanam), Persian ایستادن‎ (istādan). 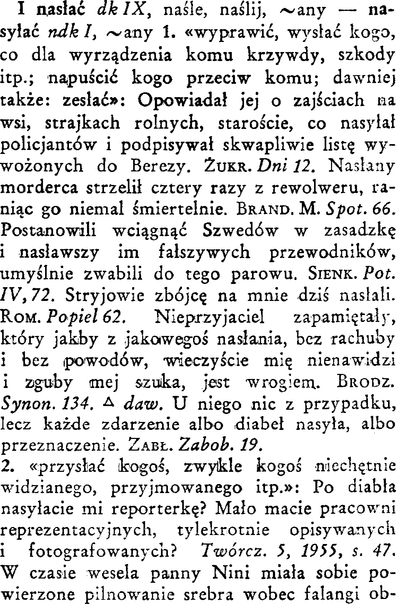 *pleth₂- Najpierw ofitzjalne tłumaczenie znaczenia wg ofitzjalnej etymologii nr 3, a następnie nigdzie nie ujęty, ale ISTNIEJĄCY DO DZIŚ Pra-Słowiański pierwotny źródłosłów. W językach indo-irańskich widoczne jest zniekształcenie pierwotnych dźwięków tzw. PIE, patrz L>R, dokładnie jak w przypadku Słowo / Z/S+L”oWo, Sława / Z/S+L”aWa > Sravas / SRaWaS! W językach pra-celtyckim, pra-germańskim i awestyjskim, widoczne jest zniekształcenie pierwotnych dźwięków tzw. PIE, patrz B/P>F, *pleth₂-, plā̆t-, (plā̆d-), plē̆t-, plō̆t-, plət-, > *fletyo-, fuldō-, fraθasauuah, itp. Zapomniałem wtedy napisać o słowie Pleść / PLeS’C’, ale poświęcę temu słowu oddzielny wpis. From Proto-Hellenic *stéľľō, from Proto-Indo-European *stel- (“to set”). 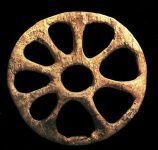 Others argue for a Proto-Indo-European *skʷel-, based on Aeolic forms, but this is suspect. ↑ Skocz do:1,01,11,2 Digital Dictionaries of South Asia. (1.2) Odys (…) dosnusłałsobieposłanie (…). 1 or: będę słać, będziesz słać etc. This reconstruction page lacks etymological information. If you are familiar with the origin of this term, please add it to the page per etymology instructions. You can also discuss it at the Etymology scriptorium. This entry does not cite any sources or offer justifications or explanations for the reconstructed words and roots in it. Please help improve it by adding reliable sources or justifications for this form. Unsourced or unjustified material may be challenged and modified and/or removed. From Proto-Balto-Slavic *stíltei, from Proto-Indo-European *stel-. Baltic cognates include Old Prussian stallīt (“to stand”). Indo-European cognates include Ancient Greek στέλλω (stéllō, “to prepare, equip, array, send”), Proto-Germanic *stallijaną (“to fix; set; place; position; put”), Old Latin stlatta (“genus navigii latum”). (1.1) Szybkopiął sięw góręponowejdrabiniepartyjnej, zostałznanymdziałaczemlokalnym – iposłemRP. Zamierzabyćnimdoemerytury. – Toświetnyzawód – przekonuje. Skocz do góry↑ Tajemnica Amwaya, Jerzy Sławomir Mac, 1998 w: Korpus języka polskiego, Wydawnictwo Naukowe PWN. Skocz do góry↑ Porada „poseł i posłanka” w: Poradnia Językowa PWN. IPA: [pʃɛˈsɨwaʨ̑], AS: [pšesyu̯ać], zjawiska fonetyczne: utr. dźw. czas. przysłać, przysyłać, wysyłać, przesłać dk., słać ndk. Skocz do góry↑ Zbigniew Czekała, Parada radarów, 1999, Narodowy Korpus Języka Polskiego. czas. słać, przesyłać, wysłać dk. 1 or: będę wysyłać, będziesz wysyłać etc. 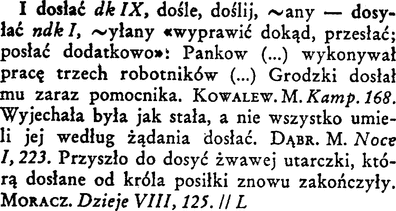 IPA: [vɨˈswãɲːik], AS: [vysu̯ã•ńik], zjawiska fonetyczne: zmięk.• nazal.• gemin. czas. wysyłać ndk., wysłać dk. Skocz do góry↑ Hasło wysłannik w: SJP.pl. Skocz do góry↑ Uniwersalny słownik języka polskiego, red. Stanisław Dubisz i Elżbieta Sobol, Wydawnictwo Naukowe PWN.